Welcome to Scarthey, University of the Arcane! From J. K. Rowling’s Hogwarts to Terry Pratchett’s Unseen University, magic schools and universities abound with fantastic adventures. Now you can join the adventure and enroll at Scarthey, University of the Arcane. Live and breathe the magic, wander the halls alongside wise wizards, discover hidden secrets, and battle fearsome foes. An exploration of the tumultuous history of the University of Scarthey. An introduction to the staff and faculties of the University. A look at the four Houses of Scarthey, including campaign traits for each House. A map of the University and descriptions of all the major locations around Scarthey’s campus. A guide to the surrounding town of Scartheyton. A practical guide to the gruesome sport of cackleball and the competitive sport of dragon boat racing. Both a Single Page Spread PDF and a Double Page Spread PDF, stunningly illustrated, for your viewing pleasure. Get that Degree in the Arcane Arts! Enroll Today! 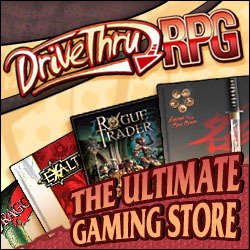 Are you a Fifth Edition Dungeons & Dragons player? Grab the Fifth Edition Dungeons & Dragons OGL compatible version of this product here.